Sonja and Jerry immediately started to work on a commercial lighting product. Just a short time later, Sonja had the nightmare again, but this time she went to the computer and started researching everything she could find out about fire-related deaths. She discovered that most people were not dying in commercial building fires; they were dying in their own homes! According to the National Fire Protection Association, “over 80 percent of fire deaths in the U.S. occur in the home” and “smoke is the leading cause of fire-related deaths.” Another idea was born! When a fire starts in a home, the smoke can become deadly in less than two minutes. 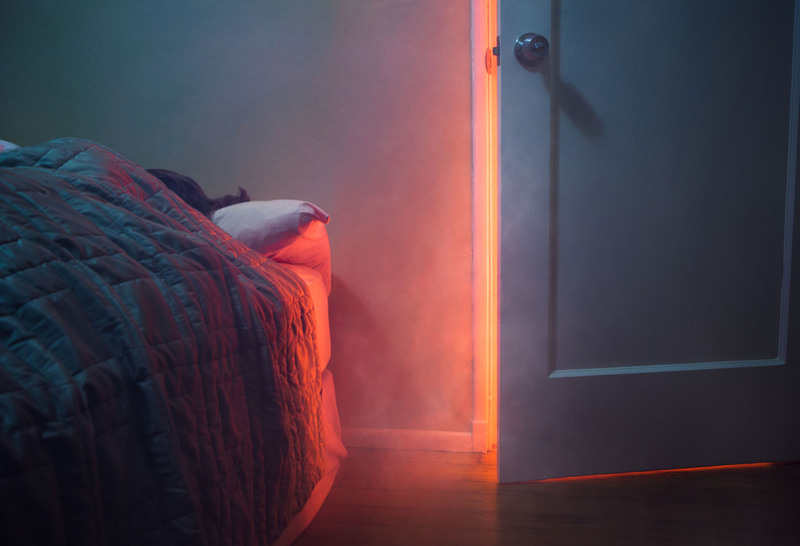 Most deadly fires occur at night. You can’t breathe, you can’t see and terror takes over very quickly causing disorientation. Not only do you need to get yourself out, you need to get all of your loved ones out and “Every Single Second” can mean the difference between life and death. Zozula’s invention, The LightSaver L-100™, is a sound activated Emergency Doorway Identifier. This device sits above an exit door and is triggered by the sound of the smoke alarm. Once activated, it brightly outlines the door and nearby floor areas to illuminate the exits, but you would never know it’s there, until you need it! Today, more people die in fires in the U.S than all natural disasters combined. “This is not a problem without a cure,” says Zozula. Smoke detectors make you aware of a fire or smoke. A LightSaver™ clearly shows you and your loved ones where to go to get out quickly. LightSaver™ is battery operated and requires no tools to install or maintenance. Please contact your insurance company to request a reduction in your premiums. Since Sonja had the idea for the residential LightSaver™, the nightmares have ceased.